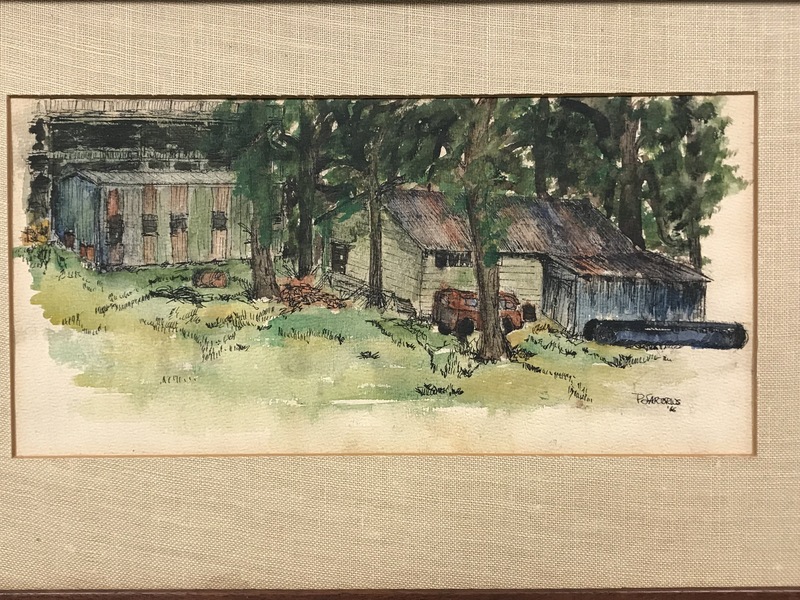 My contribution to the Class of 1968 Golden Reunion commemorative publication included mention of a small watercolor/ink drawing I did in 1966 of Rice’s original art studio. It was located in a small, rickety steel building tucked among the trees near the Old Rice Stadium. I was an architecture student at the time and the art courses were then a part of the School of Architecture. All the drawing/sculpture courses I took from Professor David Parsons were located in this building. I also took many of the art history courses taught by Professor Katherine (Tsanoff) Brown. I soon discovered that I enjoyed the life drawing and art history courses, as well as doing renderings of campus buildings, more than the courses required in the architecture curriculum. Long story short, a few disillusioned architecture students began discussing the possibility of establishing an art major at Rice. Soon thereafter, a curriculum was developed by Professors Brown and Parsons, with input from several “archi” students, including myself, interested in an art major option. Once the curriculum was accepted by the University, I believe I may have been the first to declare an art major at Rice. When I originally contacted Professor Karin Broker, then chair of Visual and Dramatic Arts, she said “This period [of the art program] is sorely missing from our archive of memories.” Recently, Lee Pecht, University Archivist and Director of Special Collections, indicated that my little painting could be the only historical record of this original studio building. Anecdotally, this painting was done on a whim after a life drawing class, spurred by the consistent interest of the cross country track team in running past the building during our life drawing sessions. Go figure! To the best of my knowledge there exist a couple of pictures where you can see one or another corner of this building but this is by far the clearest view of it we have. 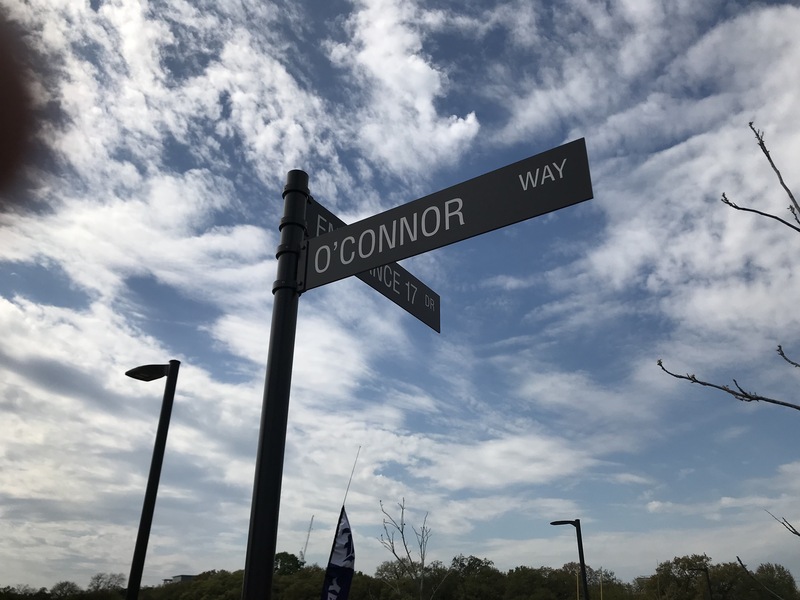 Bonus: I can’t tell you how happy I am that we’ve honored Ralph O’Connor by naming the street by the tennis center for him. I also have to admit that I think Entrance 17 Drive is a pretty snappy name too. I wish I’d thought of it myself. I remember taking print classes from Earl Staley in that building – one of my favorite art courses.